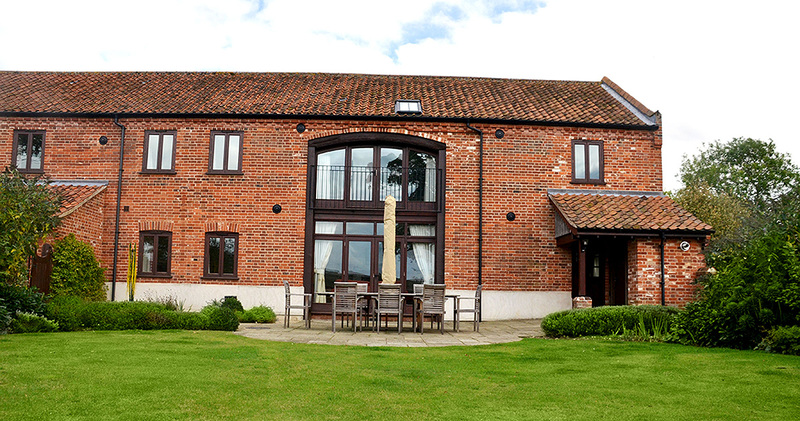 Kingfisher is situated to the right side of the three barns (when viewing from the front). 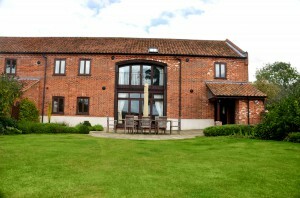 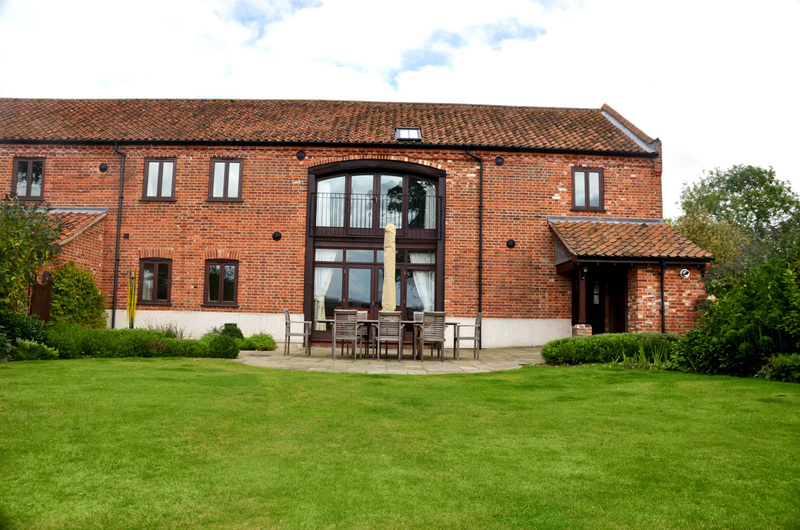 The side aspect of this barn gives it a lighter, brighter interior and stunning views over the lawn and farm land. 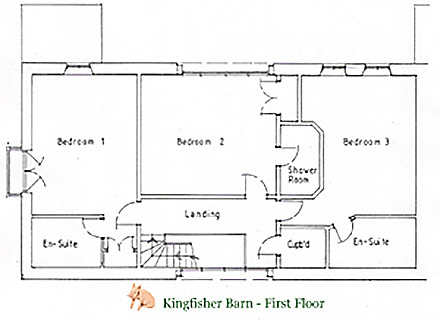 Kingfisher consists of two large bedrooms downstairs, with the zip and link beds and en-suite wet rooms. 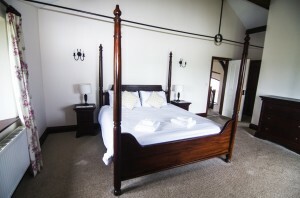 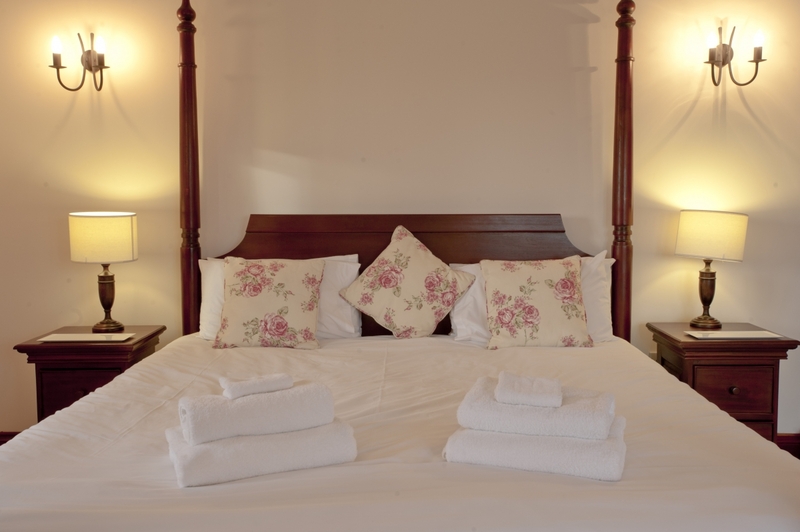 Upstairs you will find three large bedrooms; the first bedroom has a super king four poster bed with an en-suite bathroom/shower. 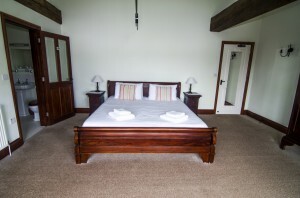 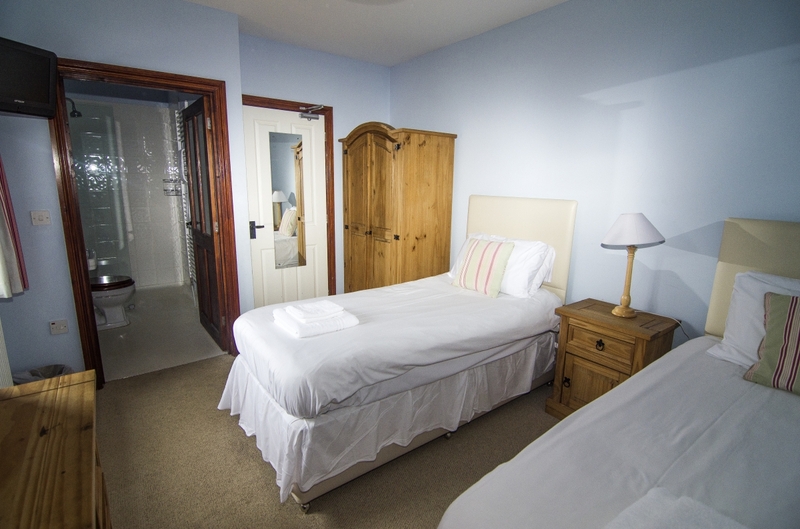 The second bedroom has a super king sleigh bed with a balcony also with an en-suite shower room, the third bedroom has the zip and link bed option with an en-suite bathroom/shower. 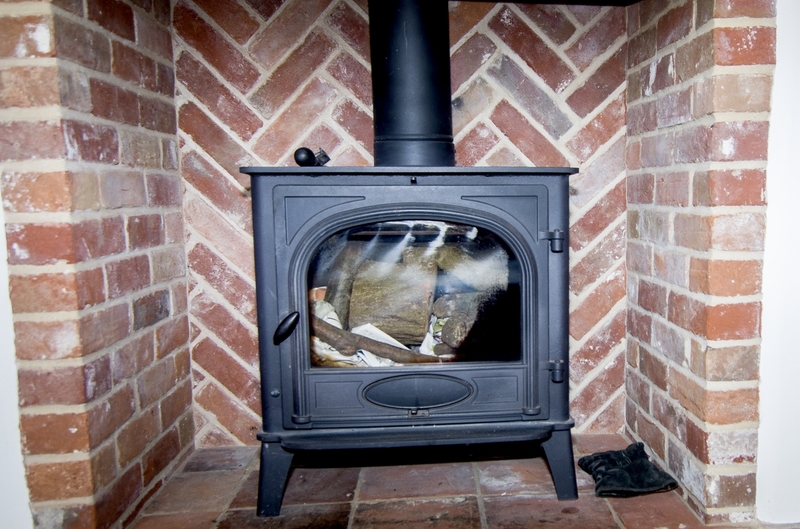 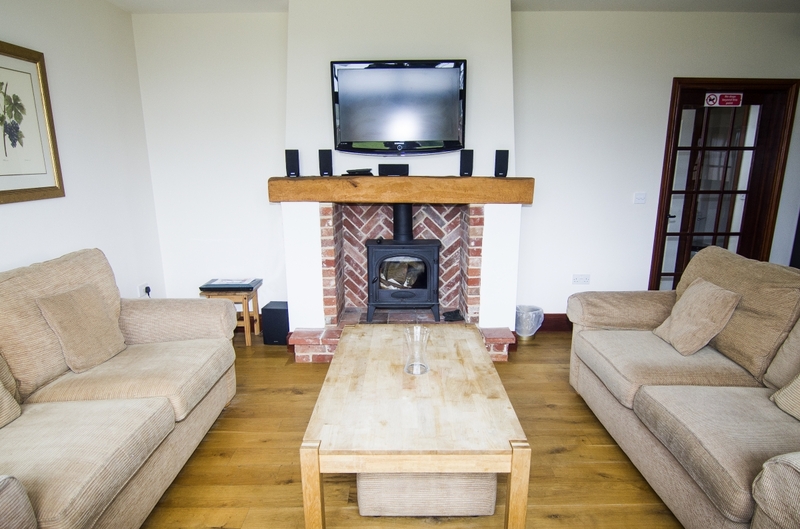 The living area is open plan and comes with a log burner for the cooler evening and double doors that open on the walled garden for the more clement weather. 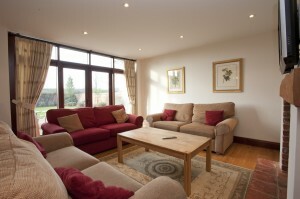 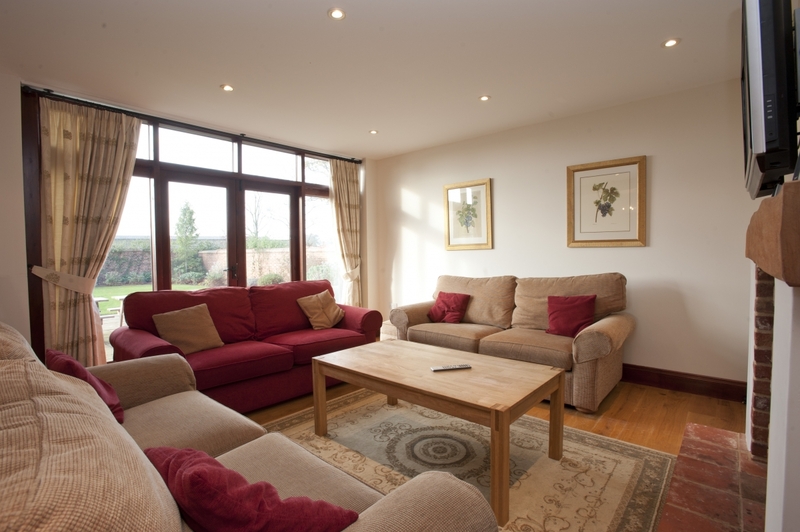 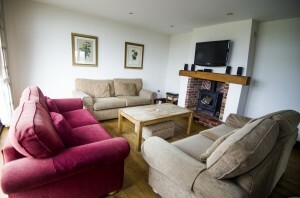 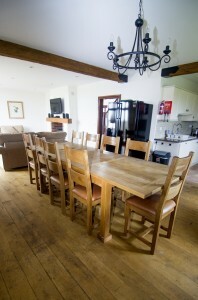 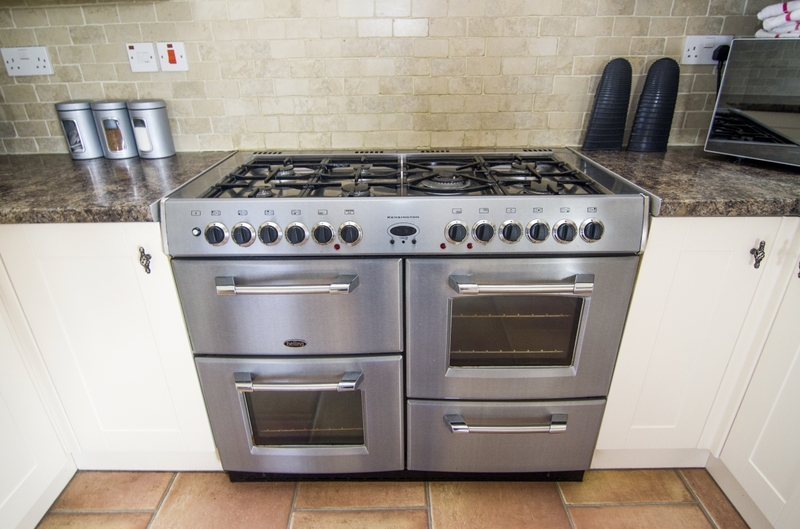 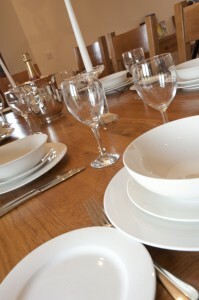 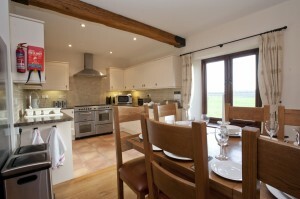 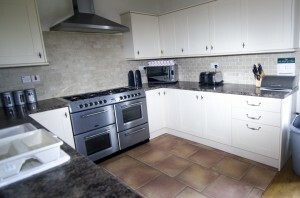 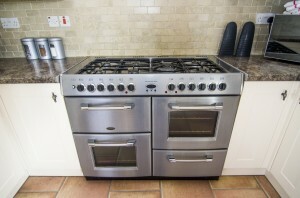 It also offers a well equipped kitchen and solid oak dining table and comfortable sofas. 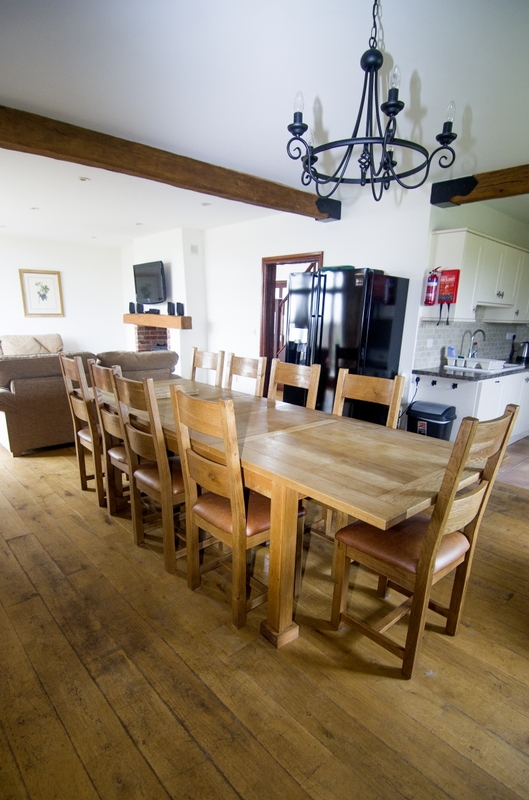 This lovely property has exposed beams and Juliette balconies giving it character and charm in abundance. 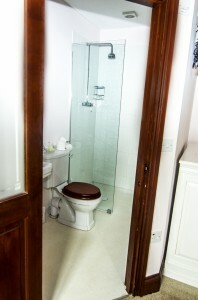 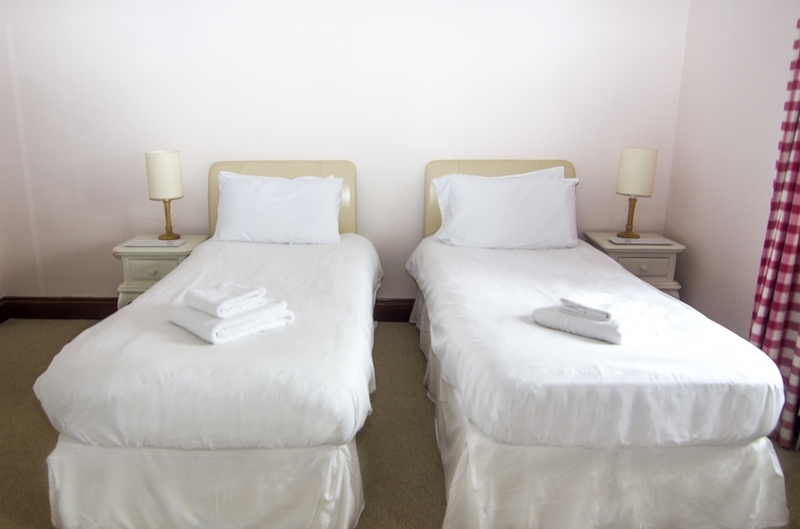 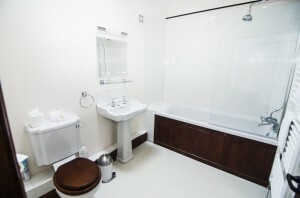 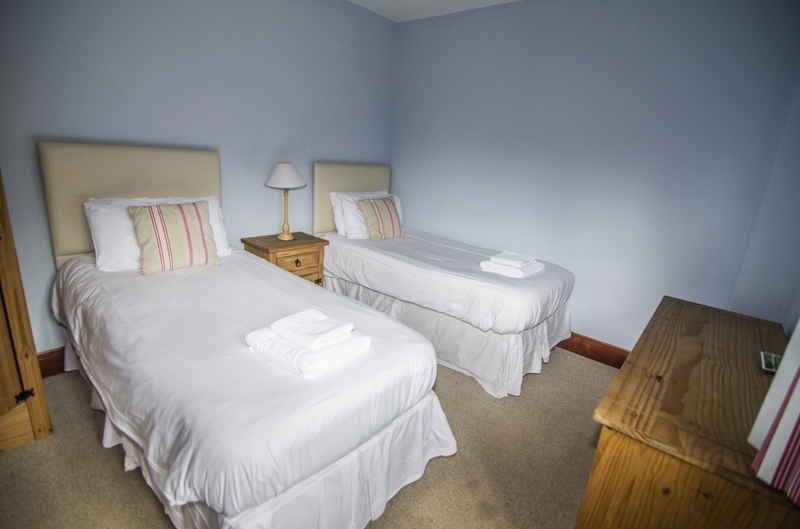 All bedrooms have a small flat screen television, generous wardrobe space and en-suite bathrooms or shower rooms. 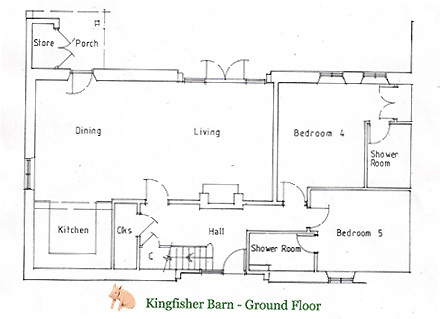 Kingfisher has its own private, walled and secure lawned garden with a built in barbecue. There is ample space for parking.